Now that a new Board of Education has been sworn in and is under leadership that has not been supportive of appointing Verletta White to a permanent superintendent role, inquiring minds what to know what impact the board’s actions will have on the direction of Maryland’s third largest school system. As a result of legislation that took effect last year, voters elected seven board members to represent each of the councilmanic districts, and Gov. Larry Hogan appointed four members from nine names submitted by the Baltimore County School Board Nominating Commission. Aaron Plymouth, a community leader in the northwest area, chaired the commission. Together, with the student representative, the hybrid school board will work to set policy, approve a more than $1.6 billion-dollar budget and manage the 174 school facilities in a system of 113,000 students—roughly two-thirds of them non-White and 40 percent African American—27,000 teachers and staff, and a superintendent that led the system in an interim capacity for more than 18 months because the state twice blocked the board’s majority decision to make her permanent. 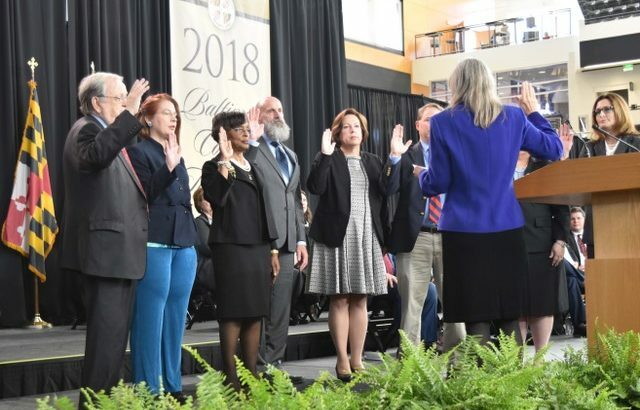 Now, with a newly elected school board chair and vice chair, a national search for a permanent superintendent will take center stage. Discussions about the Students and Teachers Accessing Tomorrow (STAT) technology program have resurfaced, and complaints about overcrowded schools, downe, Dulaney and Towson High are back on the table. Board members elected Kathleen Causey and Julie Henn, previously appointed by the governor, and elected in November, after a closed-door ses-sion before the new board’s first meeting on Dec. 11. Causey, a former Hereford High booster, then announced that she had appointed Henn as vice chair of an ad hoc search committee for a permanent superintendent. The committee’s role will be to research and bring to the board recommendations about the process, Causey explained in her remarks, including the selection of a professional search organization “to hire the absolute best leader.” She added that the full board will be involved in “all steps along the way,” and that there will be more announcements about the oversight of the school system. 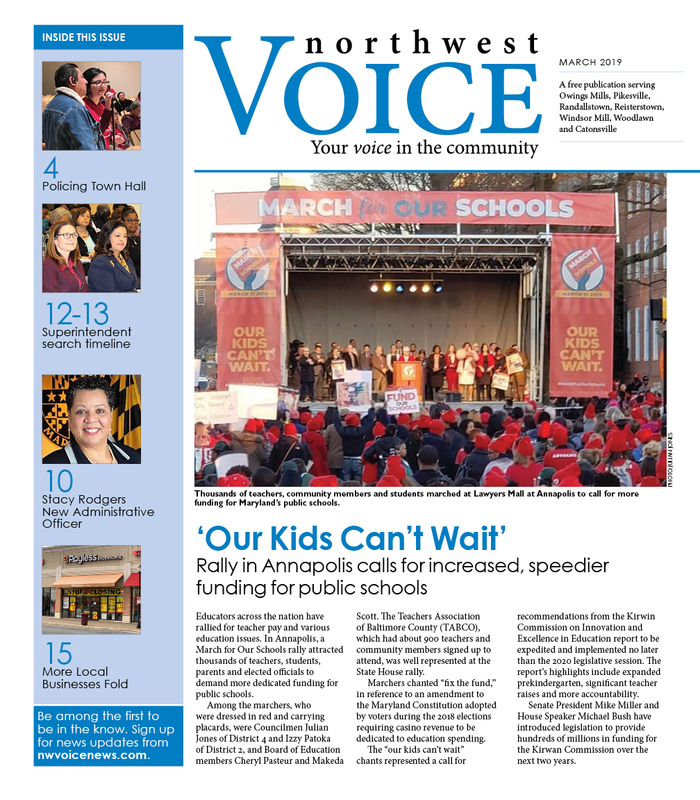 Members of the school board that served until December, debated and grappled with myriad issues such as the future of Verletta White, ethics, the effectiveness of technology initiative called Students and Teachers Accessing Tomorrow (STAT), school discipline and safety, a bus transportation, overcrowding and school construction. The majority supported White as superintendent. However, Causey, Henn, Roger Hayden and former board member Ann Miller had voted not to make White the permanent superintendent and had pushed for the board to initiate a national search for the position. The motions did not pass. Henn helped lead the vehement opposition to White’s permanent appointment. On the day after the board vote last April that approved White as superintendent, Henn wrote on her Facebook page, “Concerned about the superintendent appointment?” and the urged readers to call and write state superintendent Karen Salmon at her state email and school board email. Salmon overruled the county board.